As part of the Academy’s ongoing commitment to professional development, Sharon & Shelley recently travelled to Nova Scotia for a weekend training camp with several of our Pre-Novice National girls. 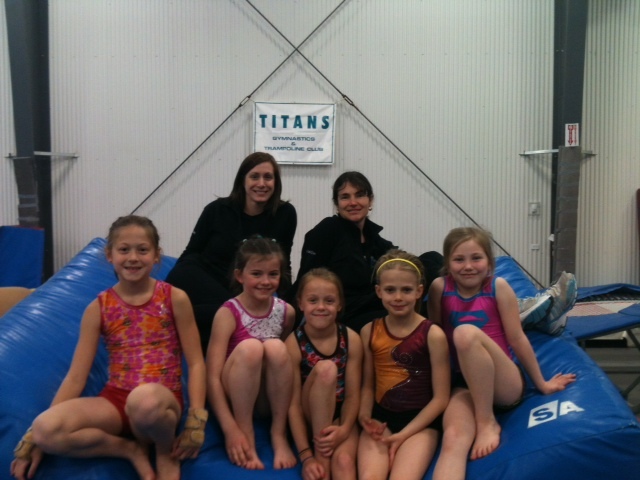 The gymnasts had the opportunity to train at Dartmouth Titans with Head Coach, Susie Gallagher and also at Taiso Gymnastics with Head Coach, Shawn Healey. Working with two of the region’s top Level 4 coaches and their athletes was a great learning opportunity for all. Plans are underway to do similar training camps in the fall.